Redworth Hall is a beautiful Jacobean manor house that was built as a family home in 1693 for George and Eleanor Crosier and their five daughters. Although it was known just as Redworth House at that time it was still an impressive 17 room building with large grounds. The Crosier family became connected with many prominent Northumberland landholder families through the marriages of the daughters, one of which caused a family rift and disinheritance. The youngest Crosier daughter, Jane, married Edward Surtees of Mainsforth, and it was the marriage of their son, Robert, at age 50 to Dorothy Lambton, a wealthy heiress who was just 22, that caused all the trouble. Edward heartily disapproved of the marriage and went so far as to offer Robert £2,000 to marry any woman but her. But the marriage went ahead and just 13 days later Robert, and all his future heirs, was disinherited. But in 1744, using his wife’s money, Robert bought Redworth House, the former home of his maternal grandparents George & Eleanor Crosier, and greatly extended it. Another strategic marriage came about in 1769, when Robert arranged for his 17 year old daughter, Jane, to marry his brother’s son, Crosier, in order to cement the family line,. Apparently Crosier was a very unpleasant man, and although Jane bore him 11 children in 16 years, it was a loveless marriage and Crosier gradually took control of all her land and estates. In 1800 Jane left Redworth Hall and was never heard from again. Within a few months Crosier also left to live with his mistress in Hamsterley then died a few years later after an evening’s merry-making at the Duke of Cleveland’s home in Raby Castle. He was found frozen to death at Linburn Beck after being thrown from his horse. Further down the ancestry line, Henry Edward Surtees ( MP for Hertfordshire) inherited Redworth House in 1863. 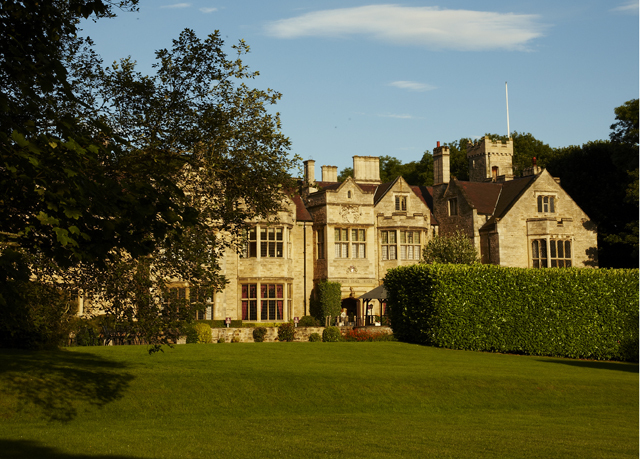 He added the Jacobean style spiral stone staircase and magnificent galleried Baronial Hall that guests enjoy today in the early 1890’s, and it was from then that that the house and estates became known as Redworth Hall. On Henry’s death in 1895, his son Major Henry Siward Balliol Surtees inherited the estates and had Prince Alexander Yourievsky of Russia, grandson to the murdered Alexander, to stay when he fled his homeland during the First World War. But he sold the house and 25 acres of gardens and woodland to the local County Council in 1950 in order to pay his tax bills. So after 250 years in the Surtees family their connection with Redworth Hall ended there. Over the years since then Redworth Hall has been a school for physically handicapped boys and a residential school for ‘naughty boys’. It became a 17 room hotel in 1987 then was extended with the addition of another 83 rooms in 1989. Guests who stay today can also soak up the past with ghostly visitations as Redworth Hall also has two spirits in residence! One is apparently that of a woman who felt the need to throw herself from the top of the Jacobean Tower when her lover jilted her. She is said to walk the rooms at the front of the house, particularly the bedrooms. Also the laughter and crying of young children is sometimes heard in the area of the Great Hall, when there are none around!